To minimize the effect of UV damage on your pieces that sit in direct sunlight, Patrick suggests selecting a fade-resistant fabric for your upholstery. Be sure to do your research on your pieces and fabrics to ensure you know how to protect your furniture for years to come. A sofa and chaise from the Hyland collection, upholstered in matching Royale Marigold, ground this incredible architectural space in midcentury funk, while a set of Welles ottomans in Key Largo Coral add contemporary luxury to the scene. Photo courtesy of Joybird Furniture. Labels will often be coded with letters as a shorthand for what kind of cleaner you can use on the upholstery. Furniture that can be cleaned using distilled water will have a “W” label, and pieces requiring dry-cleaning solvents will have an “S” label. Whatever type of cleaning code your piece has, make sure you have a cleaner with the same code. After that, Patrick urges avid cleaners to use their best judgement when buying over-the-counter products continaing harsh chemicals or known carcinogens. “Your family’s health is everything—make sure you know what’s in that bottle of cleaner and [are] aware of any dangers it might pose to your family and pets,” he says. Cool Key Largo Ash covers the Winslow sofa, a nice grounding for the pops of light-pink suede upholstering two Korver chairs. Photo courtesy of Joybird Furniture. 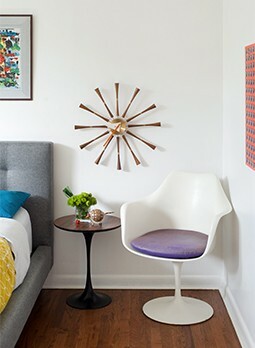 True midcentury furniture is a gorgeous addition to your home, but for those with a lot of rambunctious pets and kids, putting your prized Kagan rocker or Eames lounger in the family room might be more stressful than it’s worth. 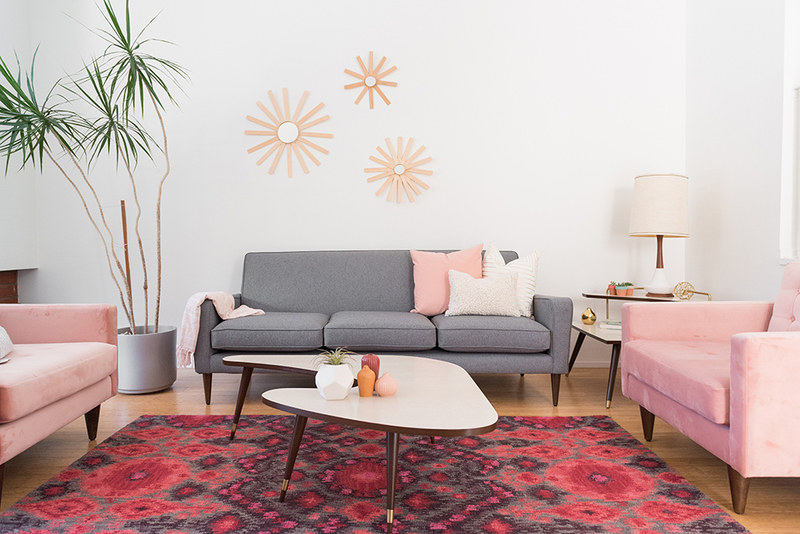 While the word “durable” may not immediately bring to mind the stylish sofa you had hoped for, furniture that is both wear resistant and pleasing to the eye is an investment—and it’s not that hard to find, either. 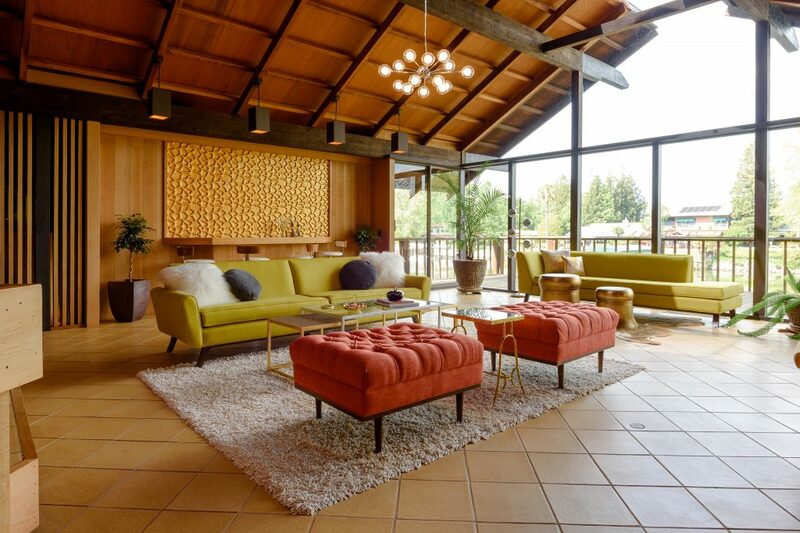 With durability and style on the forefront, sofas and chairs from Joybird Furniture are the perfect Midcentury Modern addition to the modern family. “Joybird builds heirloom pieces that should last a lifetime under normal use and can be passed down from generation to generation,” Patrick says. “Joybird uses only highly durable fabrics with high double-rub counts … The frames are corner blocked, glued (Joybird only uses water based glues that do not contain any harsh chemicals) and screwed and built using only kiln-dried woods.” All of this makes for a lasting piece that complements your vintage furnishings and retro vibe. For more information on Joybird Furniture, visit joybird.com.